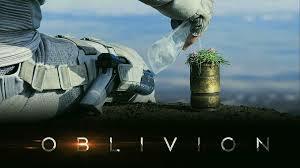 Oblivion, a science fiction produced and directed by Joseph Kosinski stars Tom Cruise, Morgan freeman and Olga Kurylenko. The fiction takes place in post-apocalyptic age after the near destruction of earth by the Aliens. Post apocalyptic year 2077, the lone survivors of alien attack Jack and Sally are stationed over 1000 miles above earth. Jack is a mechanic who brings back the drones to life when it gets itself into trouble. Drones were designed to terminate the aliens who have now inhabited earth. It’s on one such mission he finds himself in a deprived situation in a restricted zone – the drones were terminating HUMANS, not the aliens. He manages to save one from the drone and rescues her back to his station only to find out he’s been getting vague images of her from the past – pre alien war. Confronting her at a later point. he finds out that she’s none other than his better half and they were happily married until 2017. The year when they went on a mission together as NASA astronauts and were held captive by the Aliens. The plot gets even better when Morgan Freeman enters the picture and gives a hell of time for those outsiders. Though not disfigured, extra-terrestrial aliens are displayed – it could have never been pictured better. Oblivion is even better than Predators and Alien’s Vs Predators. M Freeman: Yeah, but it’d be worth it! Victoria: Our job is not to remember, remember? Sally: Are you an effective team ? M Freeman: I’ve been to the radiation zones, if you are looking for the truth that’s where you’ll find it. The cinematography is simply resplendent, taking to the verge of picturing and presenting a live feeling to the audience. The attention to details are impeccable the same time. This is visual retreat for sci-fi nerds. Being a lone survivor of the plannet has its own remorseful memories which are pictured aesthetically. When Jack goes missing the first time, commander Sally sends in a drone to lookout for Jack, when the drone fails doing so, Sally recommends sending in more drones. But the second time, when the same situation arises, Sally sends in three drones and that’s about it. No follow up on what happened to Drones or where had Jack gone? Oblivion was inspired from a novel by Joseph Kosinski of the same name which is unpublished till date. Kosinski claims this to be paying homage for the science fictions of 1970s.